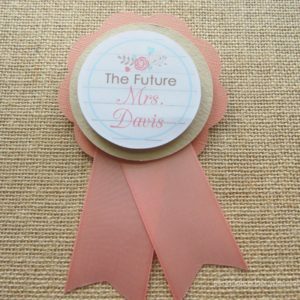 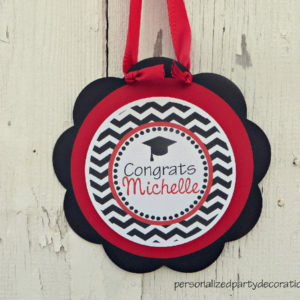 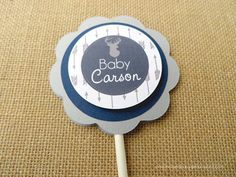 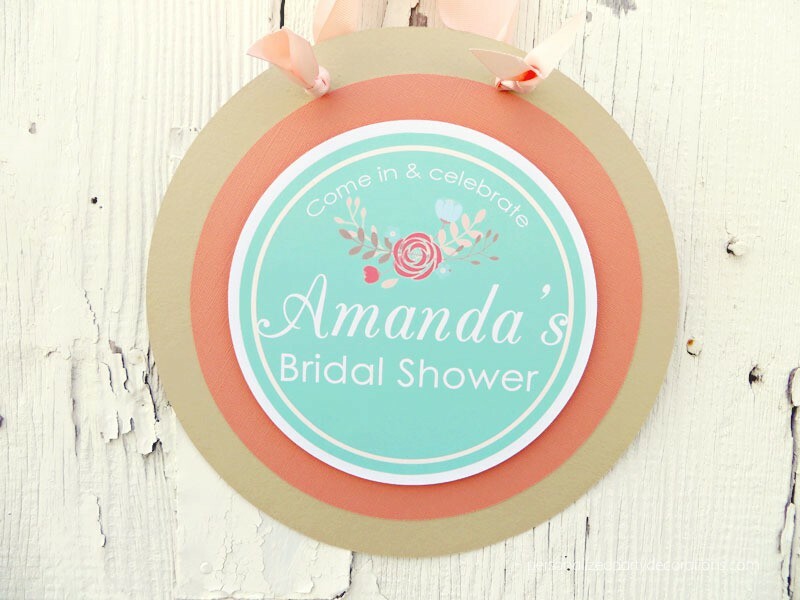 Our Floral Bridal Shower Door Sign is handmade using the colors and saying of your choice. 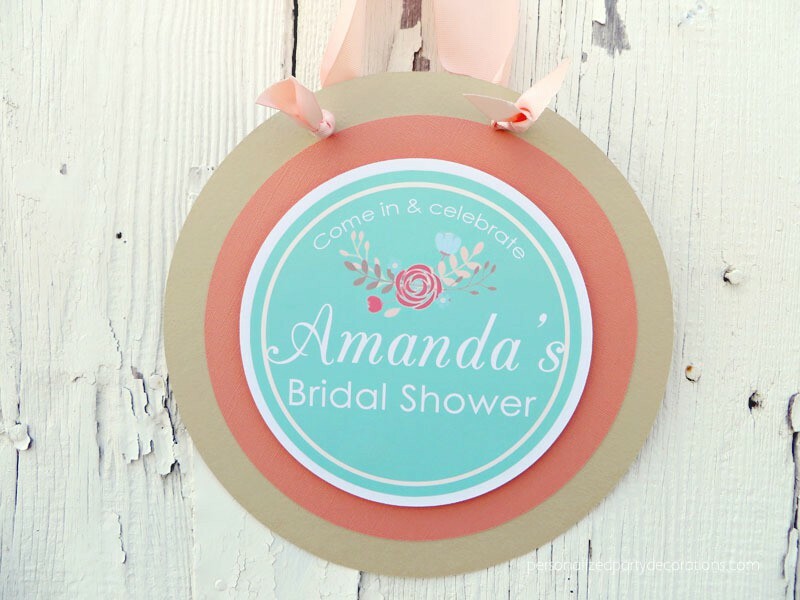 Hosting a bridal shower? This Floral Bridal Shower Door Sign is a simple way to welcome your guests. 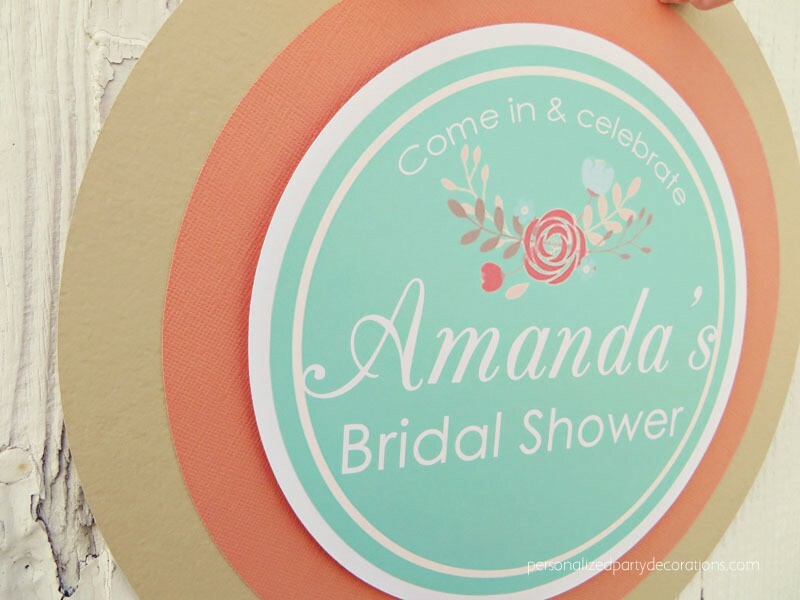 A Floral Bridal Shower Door Sign is a cute way to decorate quickly! 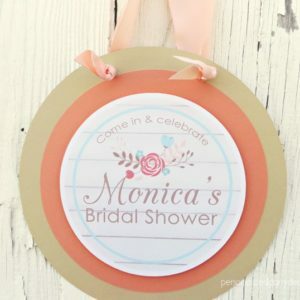 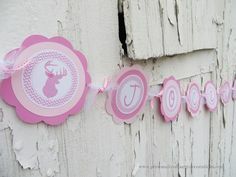 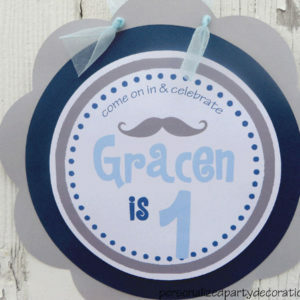 All of our bridal shower decorations come completely put together and are ready for use. 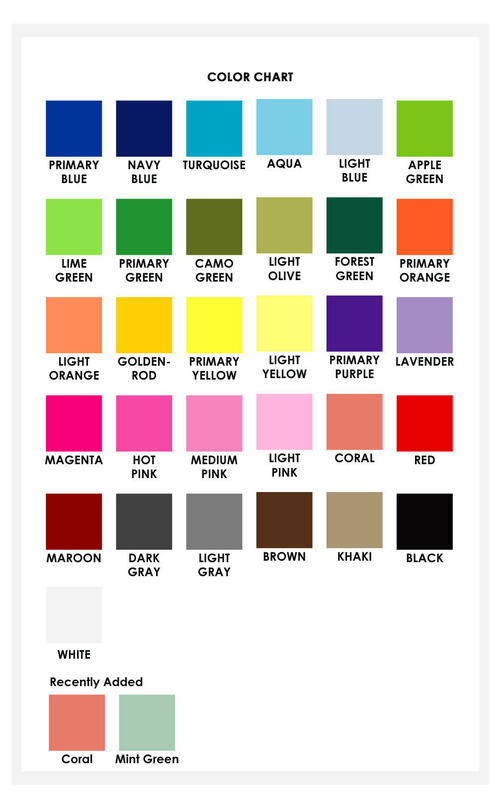 You will choose the colors and background shape for each of your items. 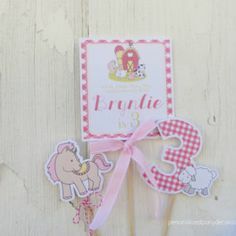 Simply open the package and hang your sign. 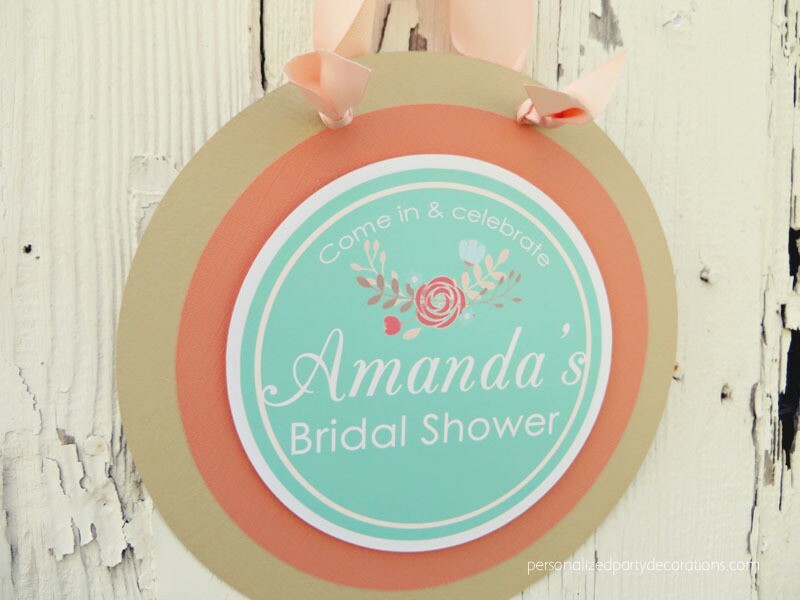 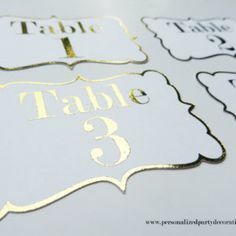 An easy way to add to your bridal shower decorations!